Marie Krøyer is hailed as “the most beautiful woman in Europe” and leads a happy marriage life with her husband the great Danish painter P.S. Krøyer and an adorable daughter. However, not everything in her world is as perfect as it seems, and Marie’s life is crumbling as her dreams of a beloved wife, good mother and successful artist are unfulfilled. 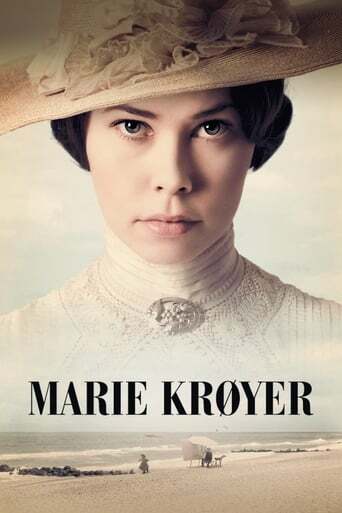 After hospitalizing her mentally ill husband Marie leaves for vacation, and in search for peace and comfort she finds herself falling in love with the young composer Hugo Alfven. Once again, internationally acclaimed Bille August exhibits the weaknesses of human beings in comparison to the ruthless nature. The grandeur scenery of deserted Scandinavian oceans speaks in volumes for the protagonists living in silence despite their lives being full of pains.